In 1991, there was just one sole lonely skyscraper in Dubai: the Dubai World Trade Centre. Fast forward 3 decades, the city has mushroomed with over 400, including the tallest building in the world – the Burj Khalifa (830m / 2,723ft). Dubai's growth over the past 30 years has accelerated its reputation from a desert city to one of the the most exciting and modern places in the world, earning it the nickname: the Las Vegas of the Middle East. Dubai is also a major transport hub, making it a useful stopover to break up a long flight. Whether you're visiting on a holiday or a layover, it's always a fun place to come for beach time, shopping and some fascinating culture. Your friend in destinations like these are the large international brands, which are accustomed to LGBTQ travellers and will always welcome us. It goes without saying that LGBTQ travellers need to exercise caution in Dubai. It is one of the seven “Emirates” of the United Arab Emirates, a country with extremely severe laws against homosexuality, punishable by death. Each Emirate within the UAE has its own legal system running alongside the UAE's and Dubai's punishes homosexuality with with imprisonment and/or a fine. The reality for gay travellers to Dubai is that you will be fine as long as you avoid public displays of affection and appreciate that you need to go back in the closet! If you're caught with your trousers down with another man in public, the likely outcome is an arrest, temporary imprisonment and deportation. The most extreme case we came across was a Lebanese / Bulgarian lesbian couple who were arrested in 2008 for kissing on a public beach. Find out more about gay travel to Dubai, in our comprehensive gay Dubai guide, but the main point to make is that if you do decide to visit a country like Dubai, you must be extremely cautious at all times! Due to the very harsh anti-gay laws, most guesthouses and small hotels in Dubai will require two men to sleep in two separate beds. Large international hotel brands like the ones we've set out in this article, will allow you to book a double bed with no problems. They are accustomed to dealing with LGBTQ travellers and will have trained their staff accordingly. One thing we would advise if you're concerned about booking a double bed is to email or call the hotel before to confirm they're ok to host gay travellers/gay couples. 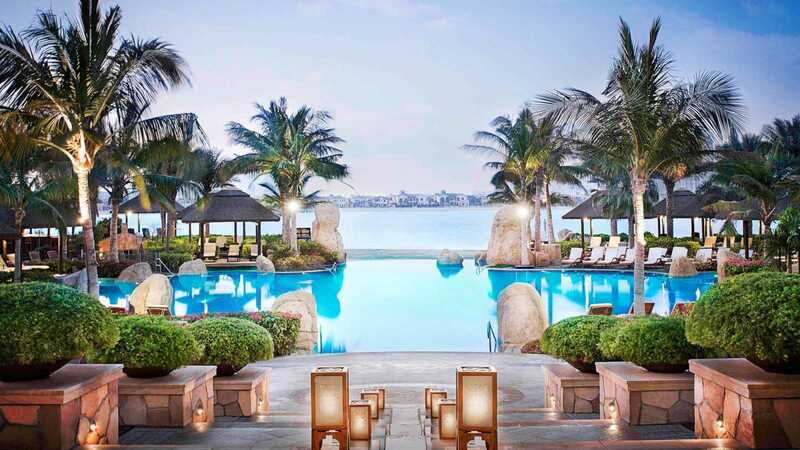 The Sofitel Palm Resort and Spa is our favourite gay friendly hotel in Dubai. 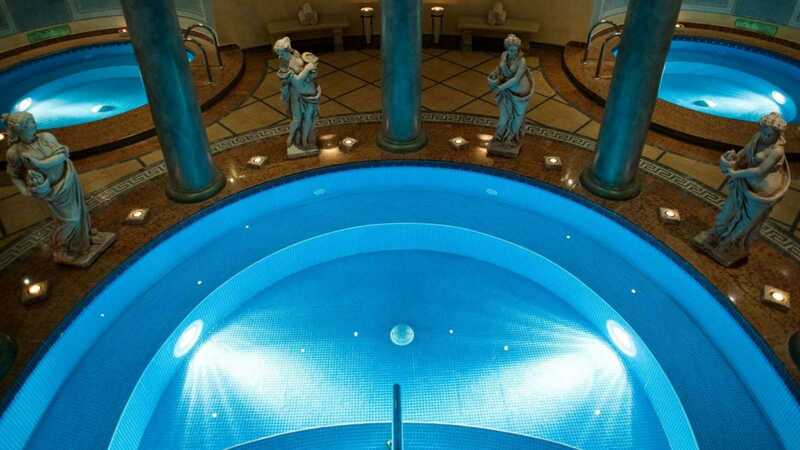 This beautiful 5-star resort is perfect if you're looking for a romantic and luxurious place to stay. The Sofitel Palm Resort and Spa has no less 6 restaurants, 4 bars/lounges, a luxury spa, fitness centre, 6 swimming pools and a private beach where you can relax in your own Tiki cabana. It is located on the East Crescent of Palm Jumeirah, which is the largest man-made island in the world. It's also close to the Aquaventure Waterpark and provides guests with free shuttle buses to some of the attractions located further away. The Hilton is a well known international American chain so you shouldn't have any issues staying here as a gay traveller. This is the hotel of choice for many of our gay friends who visit Dubai for a weekend shopping spree. 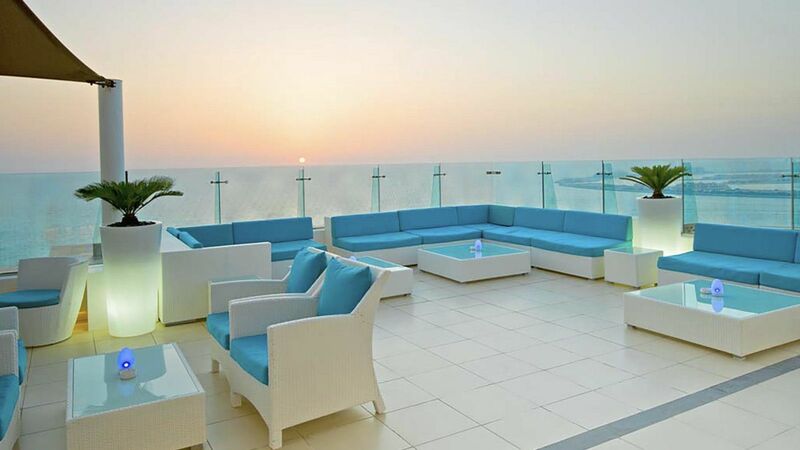 The Sky Lounge is one of the best rooftop bars we've been in Dubai. We love coming here for a romantic sunset cocktail or Sunday brunch. We've stayed in several Aloft hotels during our travels, particularly in Tampa, Florida. We're fond of the young, hip and chic feel of Aloft hotels, which is targeted towards Millennials. The Hyatt Regency is located in Deira, the heritage heart of Dubai. It's also walking distance to the Gold Souk, one of the best traditional markets of Dubai. My bf and I are planning to visit Dubai this summer (yeah I know that’s a suicide) and we booked the room in Sheraton. What do you think about our choice ? We think it’s fine as Sheraton is one of the big international brands that are used to hosting LGBTQ travellers. But to be on the safe side we advise calling/emailing ahead to double check. Why would a gay traveller want to honour such an oppressive society with a visit and make any form of contribution to a country in which being gay is punishable in any way, let alone death or imprisonment. We will spend our money elsewhere more deserving of it. Well these gay travellers prefer to go over there, support gay friendly businesses with our money and support the local LGBTQ community rather than turning our backs on them with a boycott! !